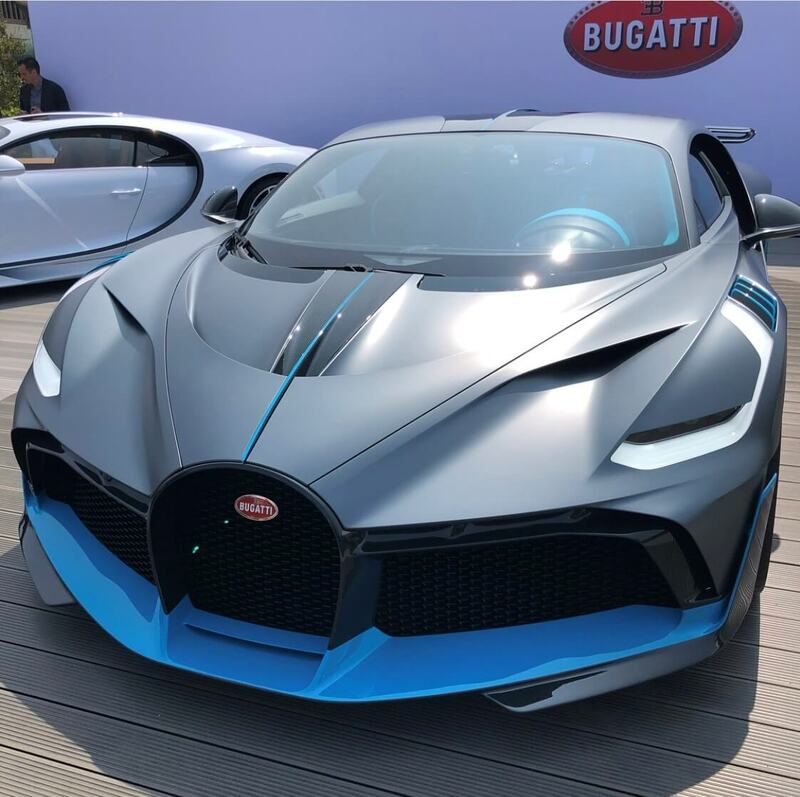 The Bugatti Divo reveal all sorts of radical aerodynamic changes over the Chiron. There are huge air intake at the front that help increase aero efficiency and cooling performance, while a new splitter ups downforce and directs air to the radiators. Like Bugatti’s Vision Gran Turismo concept of 2015, there’s a massive NACA duct on the roof to direct cool air to the engine compartment. 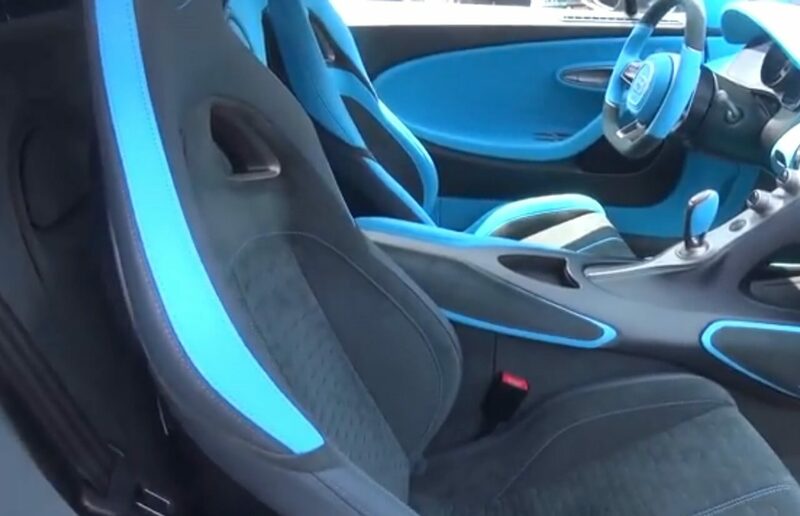 Bugatti also took measures to create an optimized curtain of air flowing around the sides of the car, while vents behind the wheel arches reduce pressure. At the back, you’ll find a larger height-adjustable spoiler and a new diffuser. 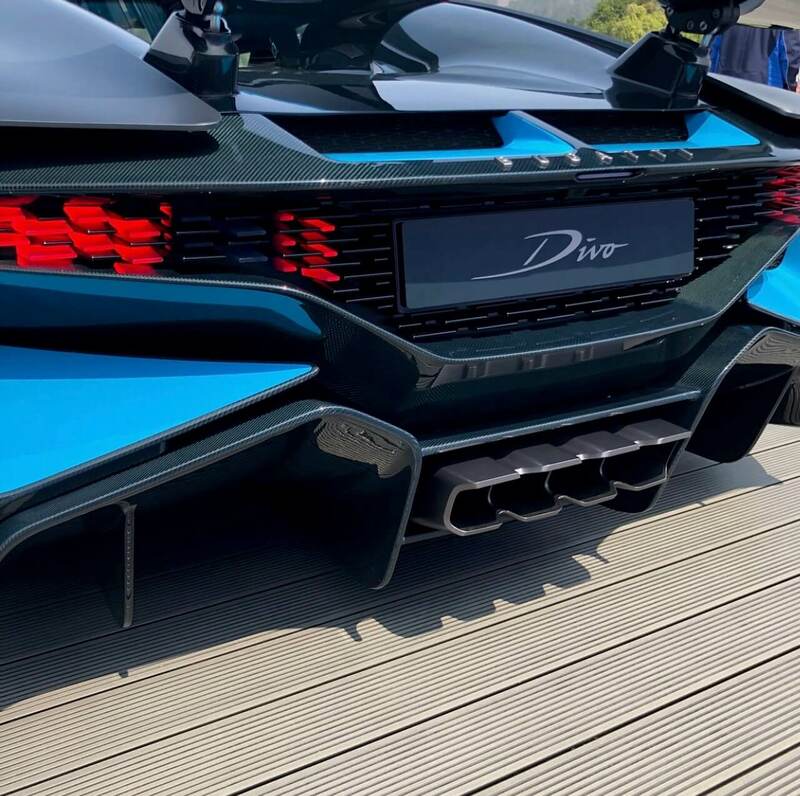 The Divo can generate around 1000 pounds of downforce—about 200 pounds more than the Chiron. There are chassis tweaks, too. 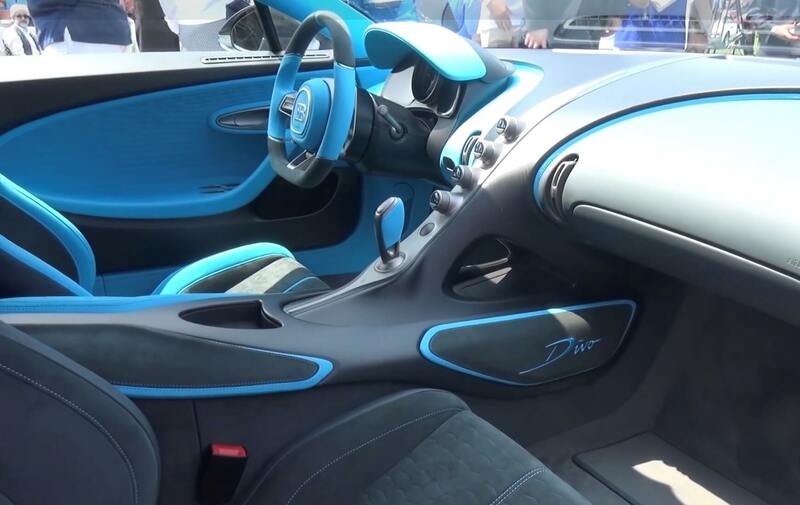 Increased camber accompanies new calibrations for the steering and suspension designed to ”ensure more direct response and significantly sportier driving behavior,” according to Bugatti. That camber increase comes at a price, though—the Divo loses the Chiron’s Top Speed mode, and consequently is limited to 236 mph. 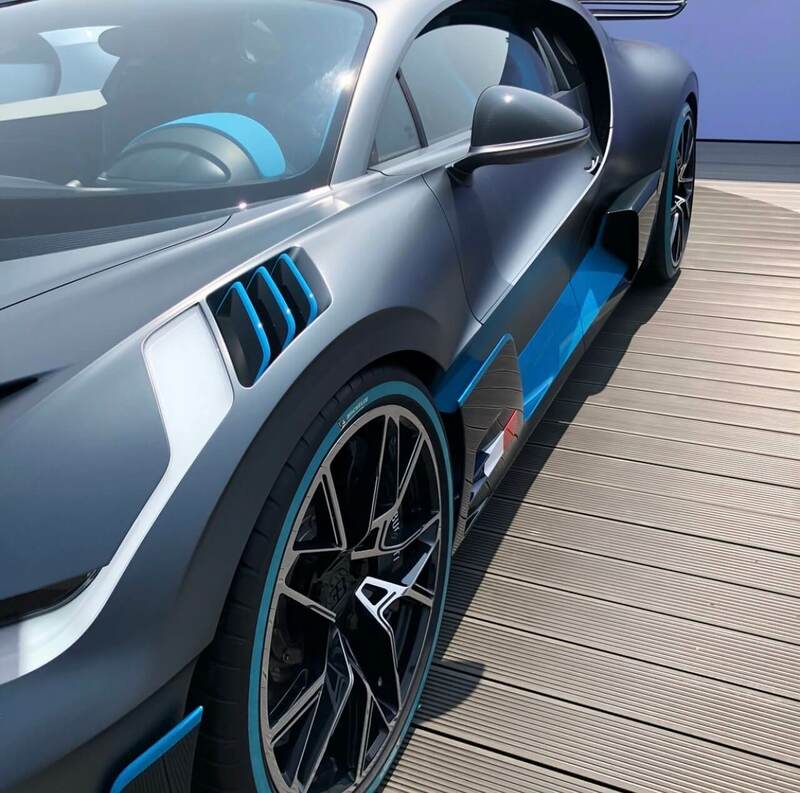 Bugatti says these improvements help the Divo lap the Nardo test circuit eight seconds quicker than a Chiron, and allow for 1.6g of lateral grip. Increased usage of carbon fiber, lighter wheels, reduced sound deadening and other measures make the Divo an estimated 77 lbs lighter than the Chiron. 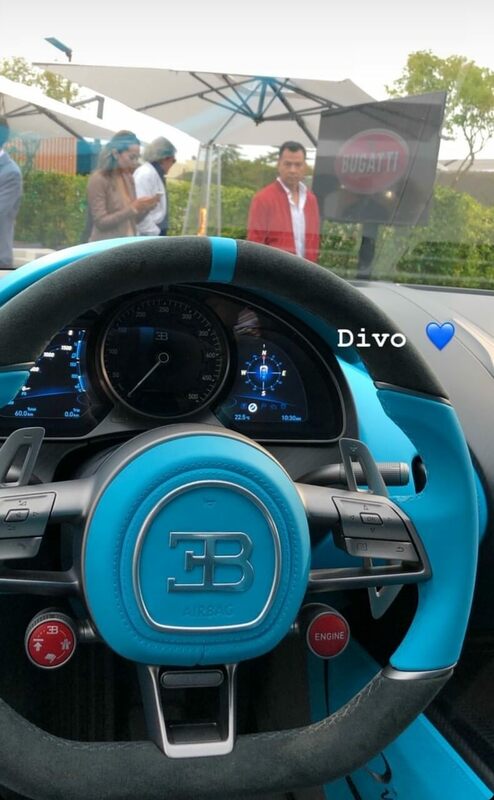 Bugatti hasn’t released a final weight figure for the Divo, though, as the car is yet to be homologated. The engine remains unchanged, but this doesn’t seem like a big deal when you have 16 cylinders, four turbochargers and 1500 horsepower. And thanks to its weight savings, the Divo is 0.1 second quicker than the Chiron from 0-62 mph, making the run in 2.4 seconds.